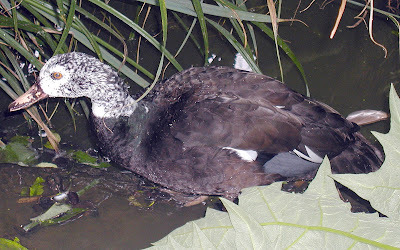 Guwahati: The white winged wood duck which was declared as the state bird of Assam in 2001 is facing severe threat of being extinct due to the lack of proper initiative of the government. Even, no proper census or any other measures to were taken by the authority. Assam and Arunachal Pradesh is the habitat for more than 80 per cent of the species which is basically found in the South East Asian countries. This type of duck is basically found in the highly dense forests and this is the only species of duck which lives on nest. “The most unfortunate part is that in spite of being a highly endangered species the government has not taken any initiative to save the white winged wood duck in the state. So far no proper study or census was conducted on it,” rued Anwaruddin Choudhury, a renowned naturalist, noted for his expertise on the fauna of the northeast. He also insisted on doing it individually if possible. “It’s very important and I feel if somebody can go a do a study, it would be great,” he added who himself did a study on this species from 1992 to 1996. His study which was conducted across the state found an estimated 400 such ducks. “I think the number would be decreased now,” Choudhury said who is also the honorary Chief Executive of the Rhino Foundation and who has penned 18 books on wildlife. This bird is basically found in the districts of Tinsukia, Dibrugarh and in Nameri and Manas national parks in Assam. If any species is recorded to be below 500 in numbers it is considered as highly endangered. With the fast deforestation and poaching more ducks are being lost in no time. “This species lives on trees near water body. And the smugglers target the trees which are nearby the water bodies, so this duck is an easy victim,” said Mriganka Krishna Gogoi, founder director of the NGO Friends of Nature. The bird which comes out during the breeding season which starts from March to August also makes the poachers’ job easier. “A full grown duck weights around 3 kg, so it is profitable for the poachers,” Gogoi said.